Expressionism between Die Brücke and Der Blaue Reiter. 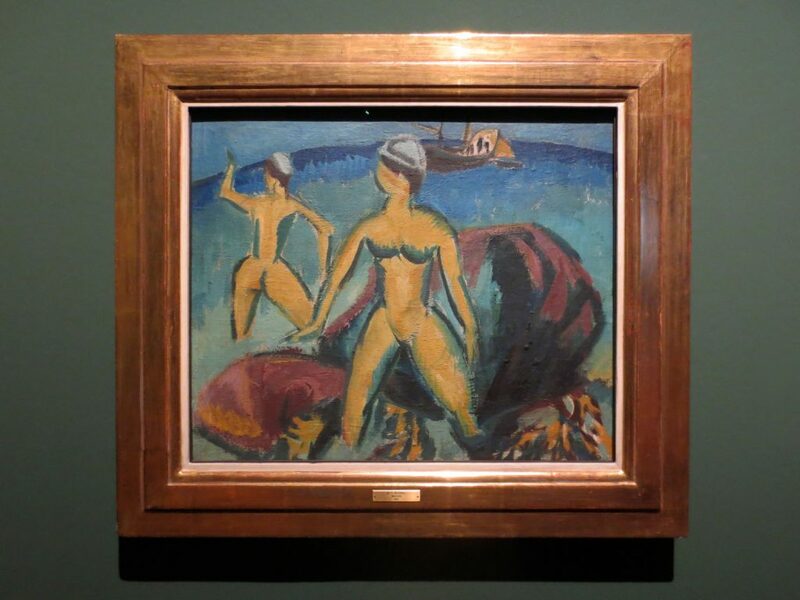 Expressionism is in the center of the exhibition Back to Paradise at the Museum Georg Schäfer in Schweinfurt. The juxtaposition of the collections of the Osthaus Museum Hagen and the collection Häuptli of the Aargauer Kunsthaus, which have never been presented together before, enables a comprehensive view at the many facets of expressionism which represents the most important contribution of Germany to the art of the 20th century. 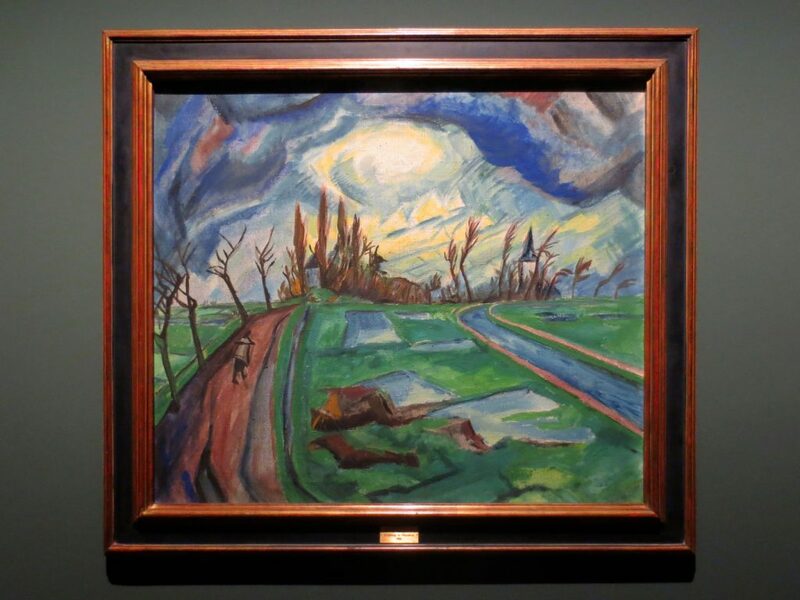 Back to Paradise unites 155 outstanding works of expressionist artists, amongst them representatives of Die Brücke and Der Blaue Reiter, but also expressionists who went their own individual way. 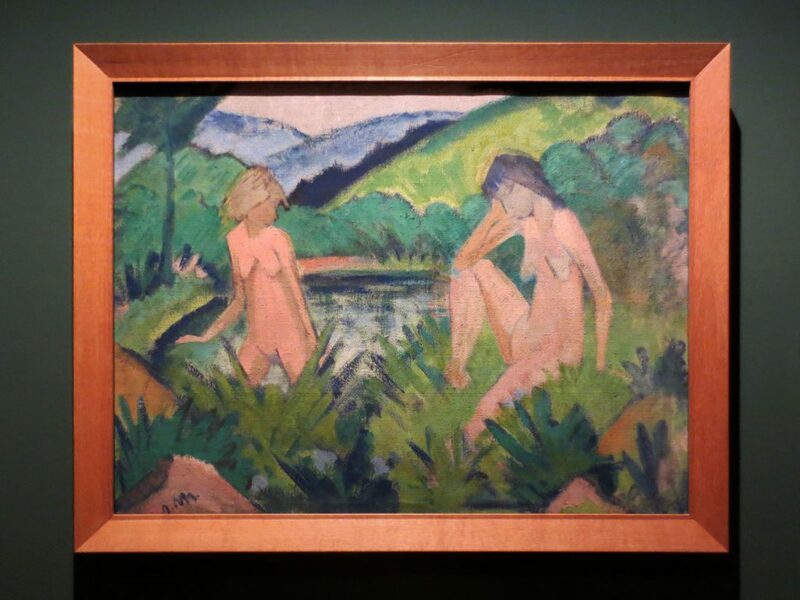 The focus of the exhibition is, as the title indicates, on the relationship to nature, as it has been expressed especially in the pictures by Erich Heckel, Ernst Ludwig Kirchner, Otto Mueller, Max Pechstein, Karl Schmidt-Rottluff, Emil Nolde, August Macke, Franz Marc and Gabriele Münter. But also other schools of German expressionism, such as the sociocritical graphic works by Max Beckmann, the crystalline architectural pictures by Lyonel Feininger and the visionary cityscapes by Christian Rohlfs reflect the variety of subject matters expressionism is characterized by. 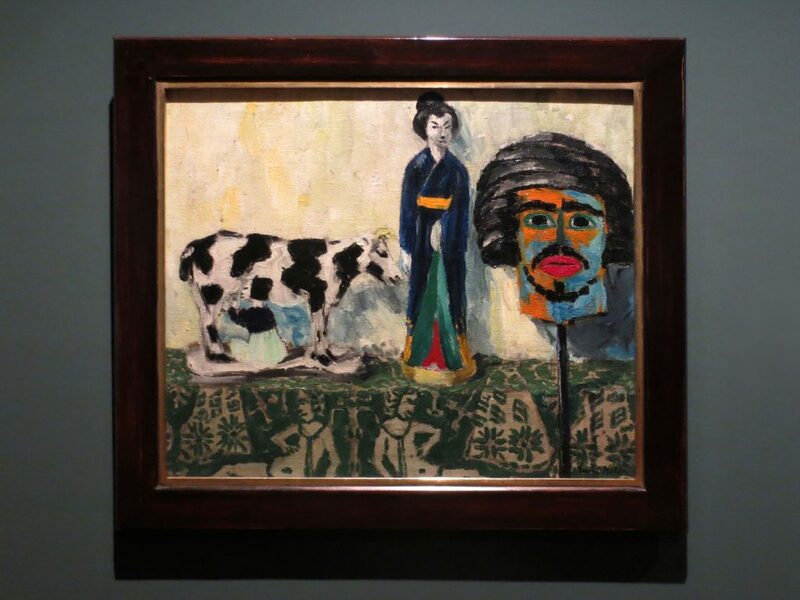 Many works date back to the time before 1920, in their complexity and quality they offer an impressive overview of the peak of expressionist creation in Germany. The beginning of the 20th century was marked by revolutionary social, political and technological upheavals that also shook the art world. The conservative artistic perception in Wilhelmine Germany provoked the younger artist generation to revolt. With juvenile storminess the expressionist artists even rebeled against established styles such as impressionism and symbolism considered as modern. Only Vincent van Gogh with his intense colors and emotional brushwork and the expressive landscapes of the soul by Edvard Munch didn’t fall in disgrace in their eyes. Without knowing where to head for the artists of expressionism wanted one thing above all: change. Torn between a sensation of crisis and euphoric mood they wanted to express their existential feeling for life. Expressionism stood for the dream of a life in harmony with nature. Industrialization had led to social upheavals towards the end of the 19th century, cities exploded due to the emergence of mass society and everyday life was radically changed. While the emerging proletariat was exploited by capitalism and nationalism, Wilhelmine Germany supported an artistic mindset that celebrated the illusion of a perfect world which lagged behind the revolutionary developments in the art capital of Paris for decades. 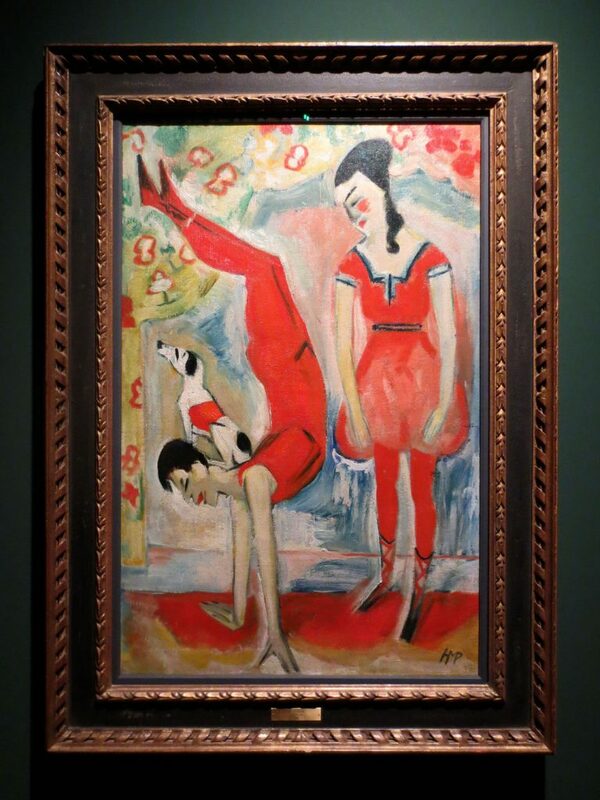 The young artists of expressionism dreamed of a “different life”. Their vision of the dawn of the modern age was shaped by the longing for the original, the natural and the individual. In search of alternative ways of life they discovered foreign respectively primitive civilizations that still lived in harmony with nature. This alternative draft to European civilization represented an inner haven that also existed in real life, which Emil Nolde and Max Pechstein were seeking with the South Seas peoples to rediscover the primordial. At the same time explorers filled the ethnological museums of Europe with objects from Africa and the Pacifics. For the artists of expressionism the expressive “primitivism” of the masks and figures were symbol of a “new naturalness”. The self-conception of the expressionist painters was reflected in the exploration of new subject matters and different stylistic means. Historical subjects or those popular in symbolism were replaced by the subjective exploration of form and color, the break with the established art business became expression of the unconditional desire of freedom. The life reform movement influenced expressionism through naturopathy, nudism and esotericism. This vague feeling of alienation in everyday life, the need to revolt, didn’t only spread in intellectual circles, but in parts of the bourgeois class as well. The life reform movement that originated in Germany and Switzerland opposed the industrialization and materialism by promoting a more natural lifestyle. Through reforms in the areas of education, work, nutrition and health man was meant to be rebalanced mentally. Wholefoods, naturopathy, nudism, esotericism and the country life were sociological and psychological experimental grounds to explore an entirely different life. This utopia was driving expressionism with all its various facets. The most important subject matter of the life reform movement in art were bathers who evoked the return to the human primitive state, the return to paradise. 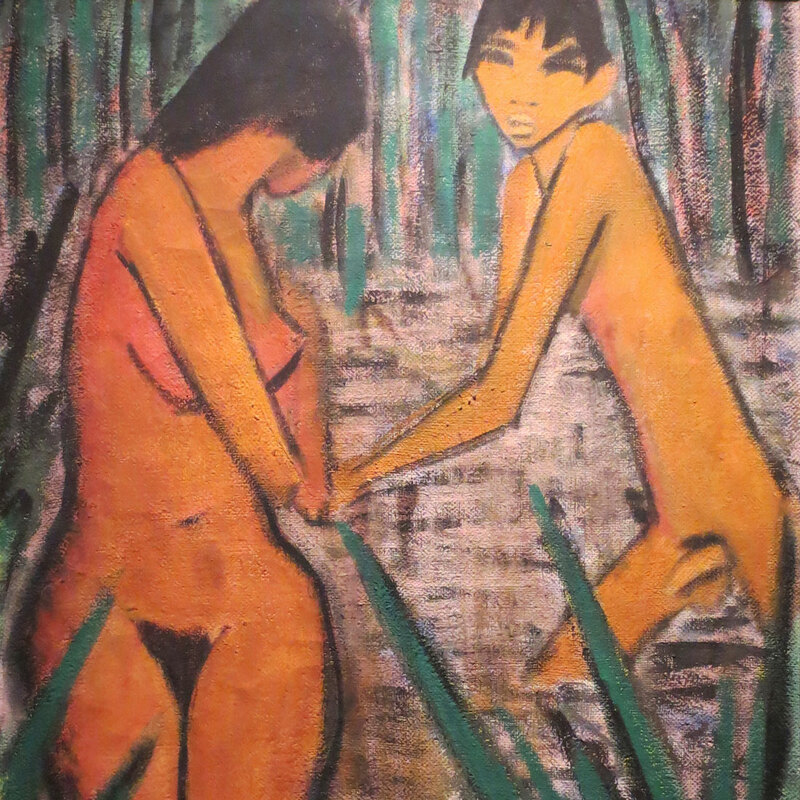 During stays at the sea and swimming lakes the painters of expressionism continuously captured this feeling of becoming one with nature and portrayed their girlfriends and models bathing. The yearning for the lost paradise that had fallen victim to industrialization was constantly reminiscent despite the subjective elation nature raised among the expressionist artists and was later on expressed in images of misery and lonesomeness. The state of turmoil society was in finally erupted like a volcano at several places in Germany at the beginning of the 20th century and resulted in the formation of various artist groups whose only objective was to attack the existing order. The still nameless movement finally got a name through gallerist Herwarth Walden who coined the term expressionism which reflected the artists’ sensation of Sturm und Drang in the most accurate way. The Brücke artists wanted to break new ground and confront the bourgeois taste with the aesthetics of the “primitives”. Shortly after the turn of the century four architecture students encountered in Dresden, Ernst Ludwig Kirchner, Fritz Bleyl, Karl Schmidt-Rottluff and Erich Heckel, who all didn’t have any artistic education, and founded an artist group in 1905 due to their common interest in art. Legend has it that the name of the group Die Brücke was suggested by Karl Schmidt-Rottluff because of its complex meaning and as metaphor for a bridge from one shore to the other, as departure to a new era. The psychological momentum was important to the artists of Die Brücke to reveal the essence of things through their inner mental sensation. 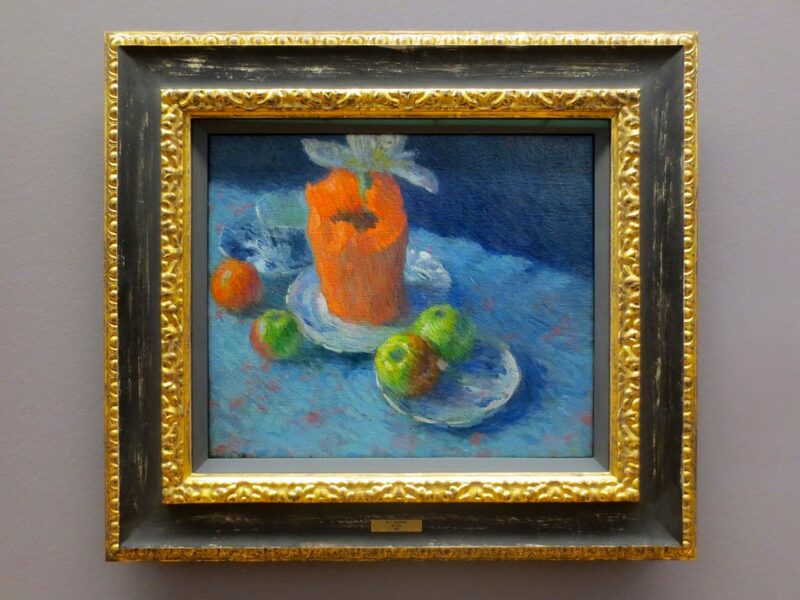 This makes the difference to Fauvism in France which was focused on mere painterly issues and the pictorial composition. The traditional subject matters were entirely rejected by the artists of expressionism in Germany. Focusing on the obviously ugly, the aesthetically inferior, the expressionists challenged the prevailing naturalism of the bourgeoisie. In 1906 the Brücke artists presented their aesthetic program written by Ernst Ludwig Kirchner to push the development of a consistent style. “With the belief in development, in a new generation of creators as well as connoisseurs, we call together the youth. And as youth who are carrying the future we want to fight for the freedom of life in contrast to the established elder forces. Everyone belongs to us, who expresses in an immediate and unadulterated manner, which drives him to create.” The expressionism of the Brücke painters is characterized by an intense high-contrast coloration and a rough simplification of forms that dispenses with any details. As a result of looking into medieval woodcut and the surface woodcut of the 19th century woodcut became one of their most preferred techniques the angularity of which they transferred to painting as well. The illustration of spatial perspective was replaced by a deliberate two-dimensionality. Also the African wooden sculptures and masks of the so-called “primitives” in the Dresden ethnical museum strongly impressed the Brücke artists. Herwarth Walden became a trailblazer for expressionism through his magazine Der Sturm. 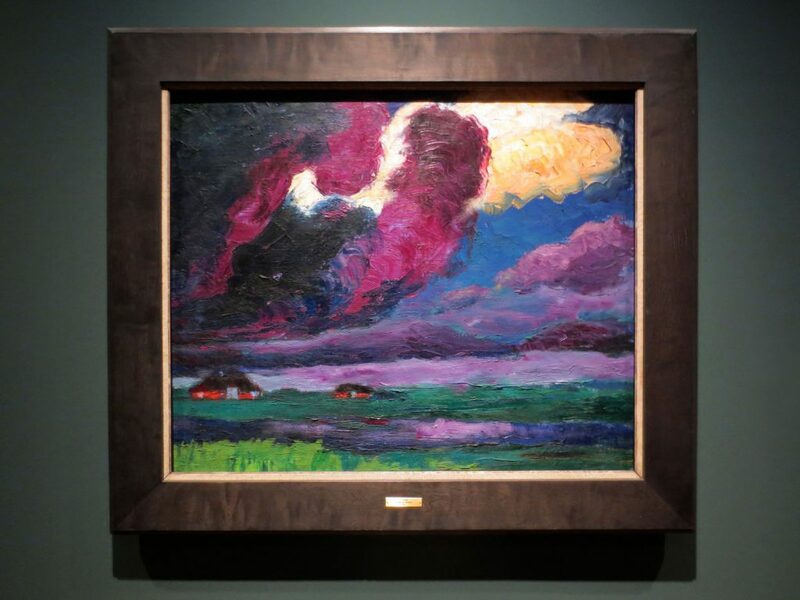 The recruitment of new members was successful, when Max Pechstein joined the group in 1906 and for a short time also the considerably older Emil Nolde. For one year also Kees van Dongen of the Fauves was listed as the most prominent member, Edvard Munch and Henri Matisse, however, rejected the advances of the Brücke artists. Otto Mueller was the last important artist to join the group in 1910 who made a significant contribution to the painting of expressionism. The imaginary South Seas paradise the Brücke painters found at the North and Baltic Sea. Frequently they went on trips to Dangast, the island of Fehmarn, the Flensburg Firth and the Kurische Nehrung. But also the lakes around Moritzburg near Dresden represented a popular destination to depict man in harmony with nature. The most frequent subject were bathing nudes, alongside their girlfriends the Brücke artists also liked to portray children, their most favored model was nine years old Fränzi. The relocation of their residences to Berlin resulted in a major change in the creation of the Brücke artists. 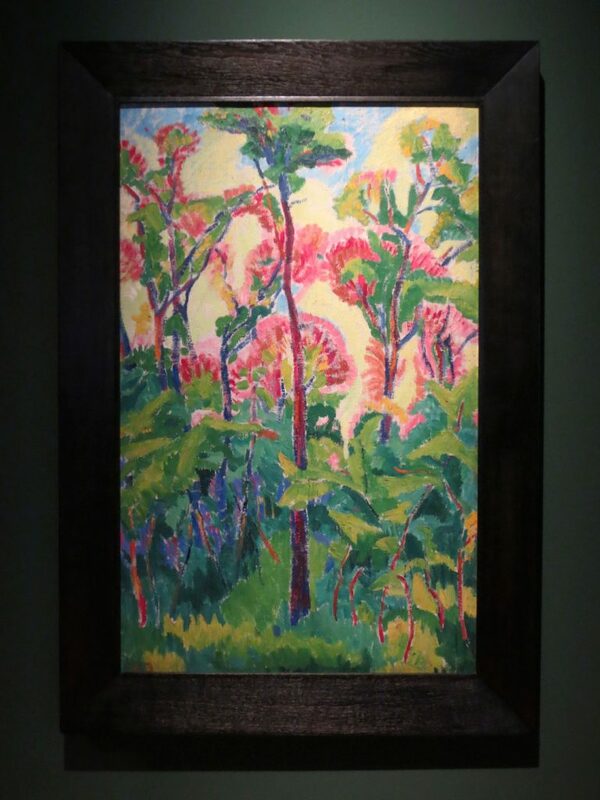 Max Pechstein was the first artist who moved to Berlin in 1908, until 1911 also the other members followed him. In Berlin they hoped to reach an audience that was more open to expressionism as well as getting in contact with collectors and art dealers. Publisher Herwarth Walden was to become one of the most important mentors of Die Brücke, his magazine Der Sturm became a mouthpiece of expressionism. But also in Berlin the artists were rejected. After being rejected by the Berlin Secession they founded the Neue Secession in 1910 and organized the protest exhibition Rejected Artists of the Secession Berlin. The public reactions and comments of critics were scathing. 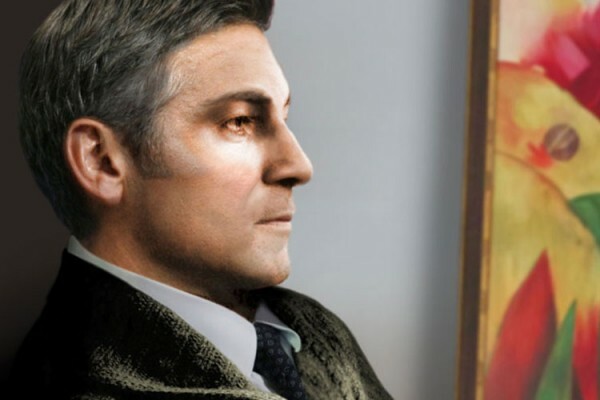 City life had a strong impact on their style and choice of subjects, new schools such as cubism and futurism influenced their paintings which led to the disintegration of the uniform style of the group. 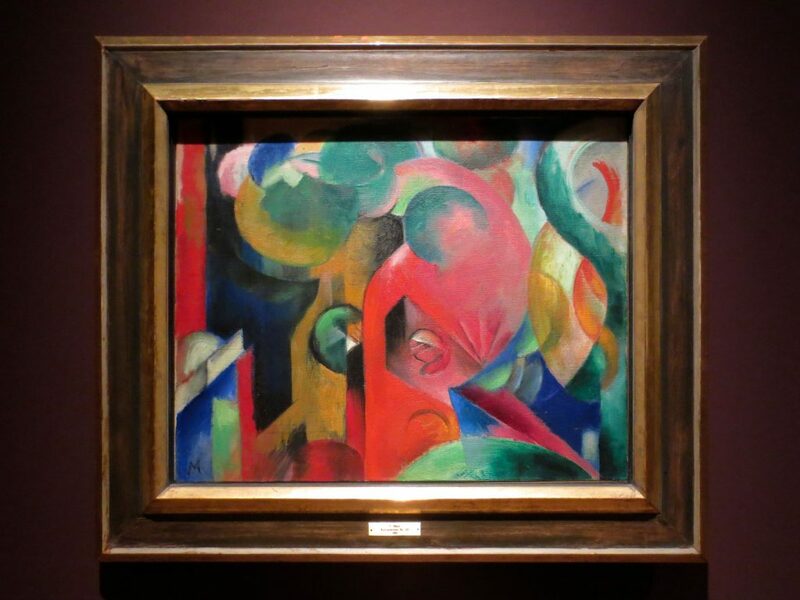 Expressionism started to establish itself among the avant-garde artists throughout Germany. There were also contacts between Die Brücke and Der Blaue Reiter, in 1912 the Brücke artists took part in the second exhibition of Der Blaue Reiter in the bookshop Goltz in Munich and also participated in the exhibition of the Sonderbund in Cologne. Since the relocation to Berlin, however, the tensions within the group had increased. 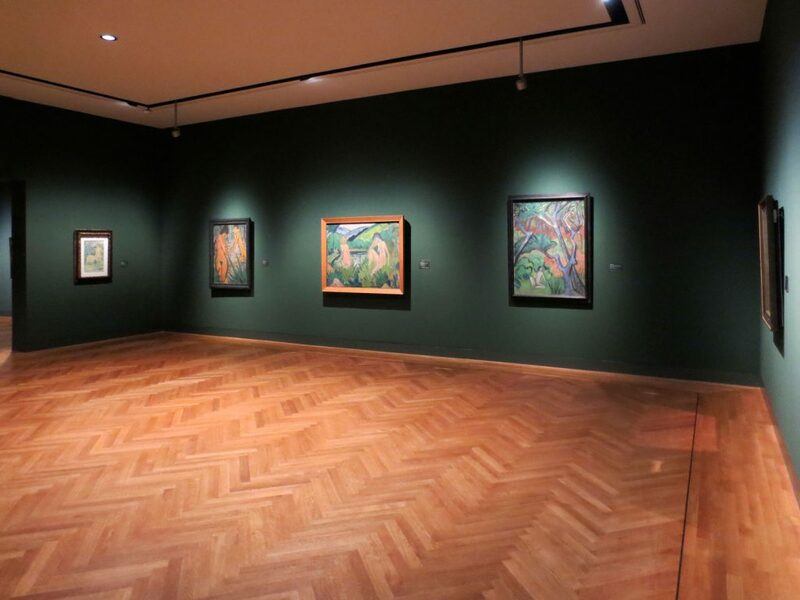 Max Pechstein had been expulsed as traitor, as he had taken part in an exhibition of the Berliner Secession. The Chronik der Brücke which had been written by Ernst Ludwig Kirchner and where he presented himself as the pioneer of the group caused the breakup of Die Brücke in 1913. The other members of the group felt affronted and decided to break up the group. Der Blaue Reiter led expressionism into abstraction. Subsequently the exhibition went on tour through Europe, where it was shown in Cologne, in Herwarth Walden’s gallery Der Sturm in Berlin and in other cities. Der Blaue Reiter wasn’t a group or an artist association in the classical sense, but rather a community of interest of like-minded people who defined their targets within an editorial framework and stayed in touch with artists such as Paul Klee, Alfred Kubin and Robert Delauney who approached art in a similar way. Just as the Brücke artists the representatives of Der Blaue Reiter were interested in the for expressionism so important primitive art, as well as in fauvism and cubism. In contrast to Die Brücke Der Blaue Reiter preferred color harmonies. In 1912 the artists of Der Blaue Reiter took part in the exhibition of the Sonderbund westdeutscher Kunstfreunde und Künstler in Cologne, in 1913 they participated in the Erster Deutscher Herbstsalon in the gallery Der Sturm in Berlin. The planned issue of the second almanac was abandoned, as Kandinsky’s dominant position within the group had led to resentment with the other members. The First World War marked the end of Der Blaue Reiter. Wassily Kandinsky had to return to Russia and broke up with Gabriele Münter, August Macke and Franz Marc were killed on the front in France. Although Die Brücke and Der Blaue Reiter had existed only for a couple of years and organized only few exhibitions, they had a decisive influence in Germany on the development of expressionism in art, literature, music and theater, in the Weimar Republic works by Die Brücke and Der Blaue Reiter were held in high esteem. Wassily Kandinsky, Paul Klee and Lyonel Feininger carried the heritage of expressionism on at the Bauhaus in Dessau. 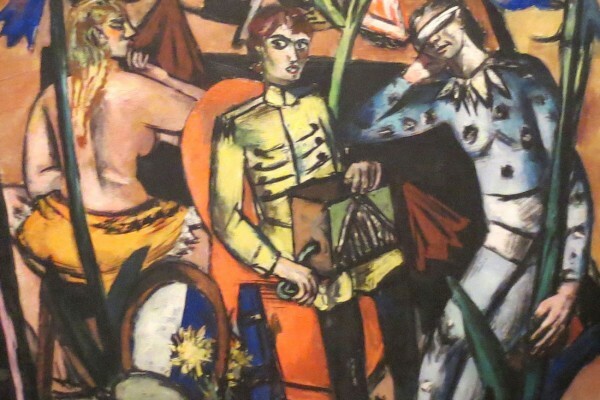 Max Beckmann who had struggled against expressionism for a long time ensured with his sociocritical approach that the expressionist means of artistic expression remained topical until the period of the Third Reich. At the propaganda exhibition Degenerate Art the artists of Die Brücke and Der Blaue Reiter became targets of the National Socialists who irrevocably buried the utopia of the rediscovery of a lost paradise, the spirit of expressionism, however, which expanded the spectrum of art by pure color and abstraction, lives on to this day.